PQM Integration Readiness Review 1 (IRR1) at OHB Sweden, held on 22nd of March. In February we reported on Orion spacecraft’s propulsion test qualification model main elements arriving in Sweden for assembling – time for an update. 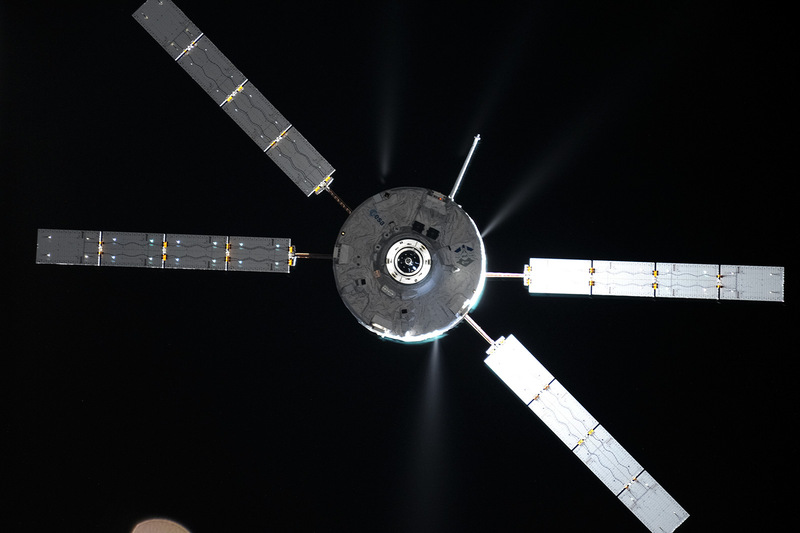 Although the Propulsion Qualification Module (PQM) will not go to space the model serves an important role in development: ensuring everything works as planned. 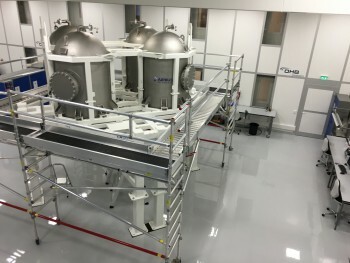 Propulsion Qualification Model (PQM), currently including the structure and the propellant tanks, ready for the start of integration activities at OHB Sweden. The model has four stainless-steel tanks 2000 litres each with walls 1 cm thick. The tanks will hold the propellants at a pressure of 25 bar with a total capacity of nine tonnes . 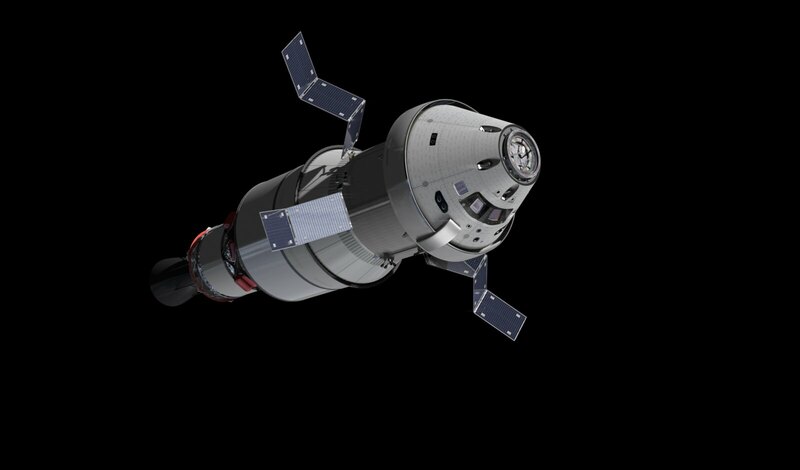 Other elemenst of the PQM include two high-pressure helium tanks; pressure-control systems; the sensing and command system with drive electronics; the propellant lines with shut-off valves; filters; and of course engines that will propel and orient Orion. 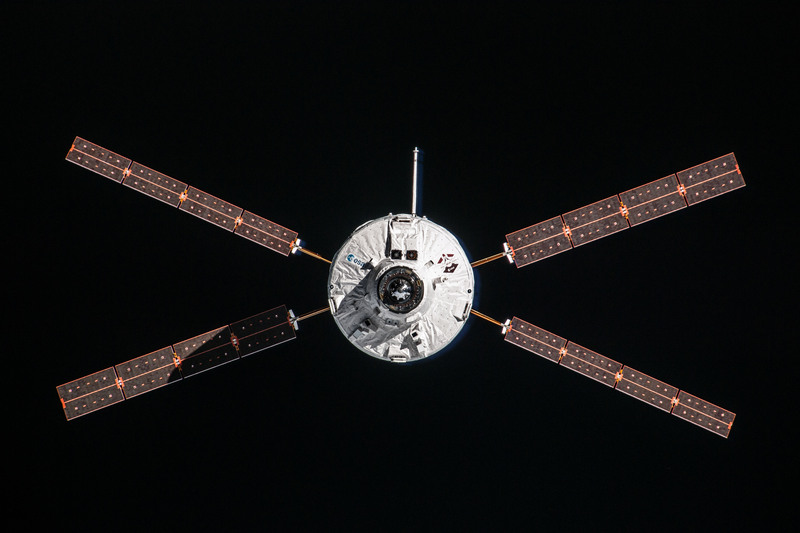 The engines that are part of the propulsion system include a US Space Shuttle engine as main engine, eight auxiliary thrusters and 12 smaller thrusters for the Reaction Control System, made by Airbus DS in Lampoldshausen (Germany). The integration of these parts for testing is taking place in Sweden with delivery planned for July/August 2016. The model will be tested in end 2016 or early 2017 including firing the engines at White Sands Test Facility in New Mexico, USA. Meanwhile the Solar Array Wing will start its acoustic testing to recreate the intense sounds and vibrations of launch in Plum Brook, USA, in April. 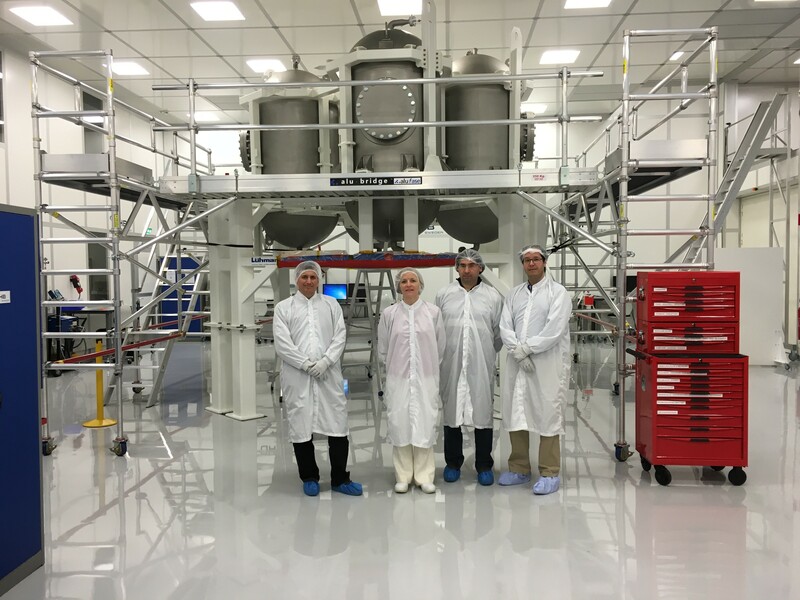 The Exploration Mission-1 flight structure ­– the actual chassis that will be launched into space in 2018 – is scheduled to arrive end of April in Bremen, Germany as well. Vehicle tracking system is modern technology. It safe our vehicle, also we looking our vehicle. If you go unknown place, then GPS is best friend for find any location and safety.